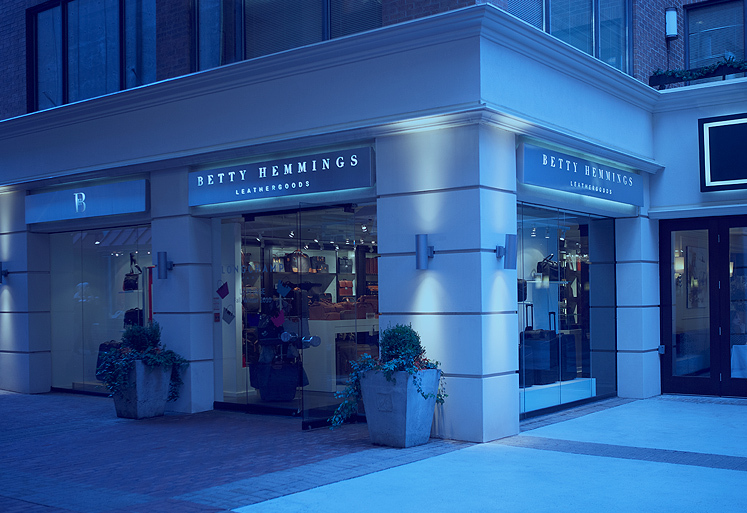 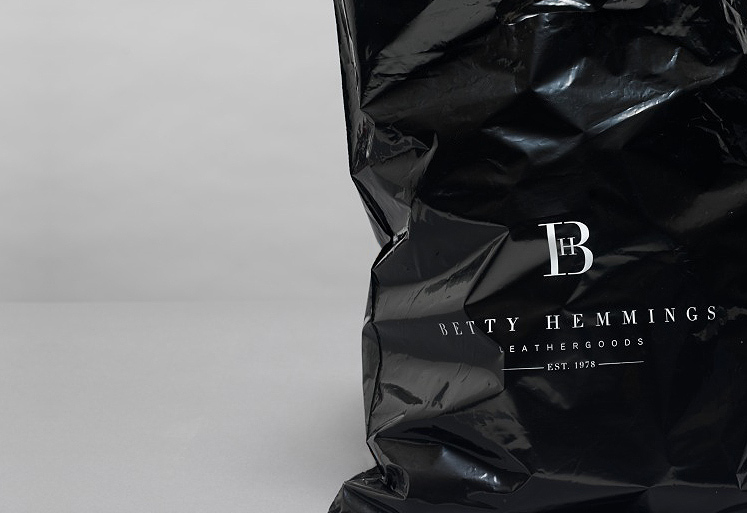 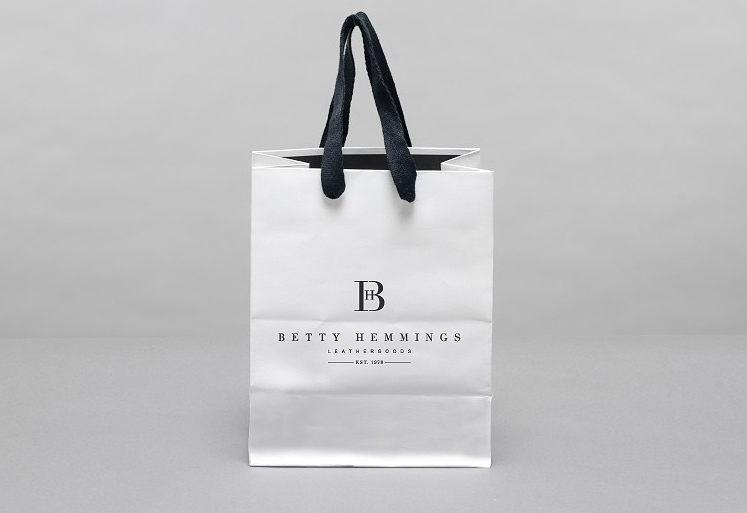 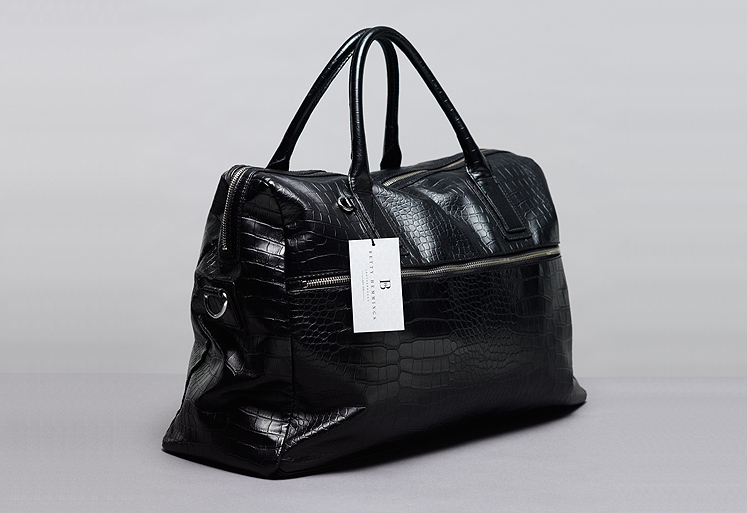 Betty Hemmings Leathergoods is a fine, quality leather goods and luggage retail store located in Toronto’s chic Yorkville shopping district. 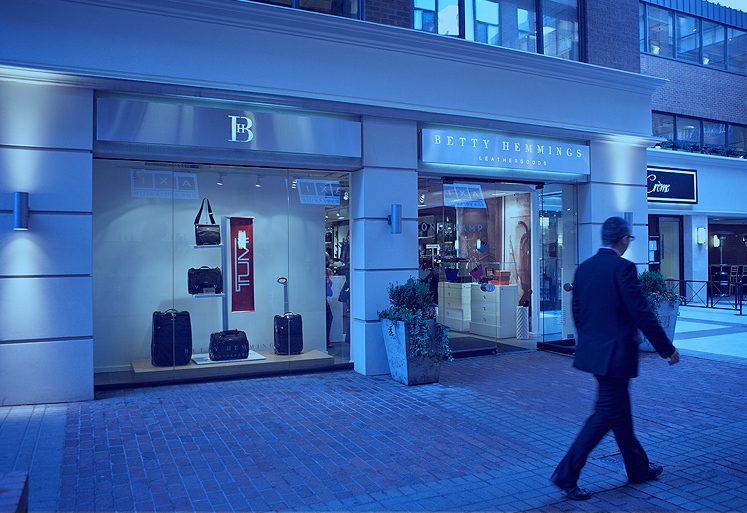 With the likes of Longchamp, Tumi, and Hartmann, Betty Hemmings Leathergoods pride themselves on expert personal service and quality. 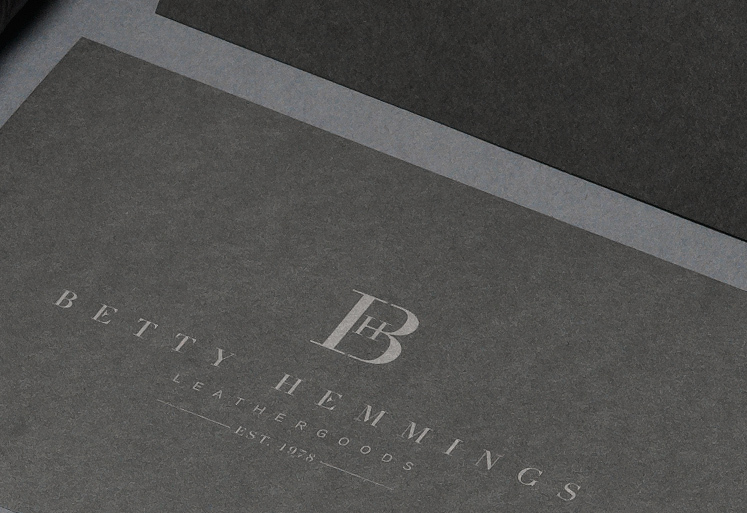 typotherapy was approached by Betty Hemmings Leathergoods and xdesign interior design firm to develop a comprehensive brand identity for the re-launch of their new retail store. 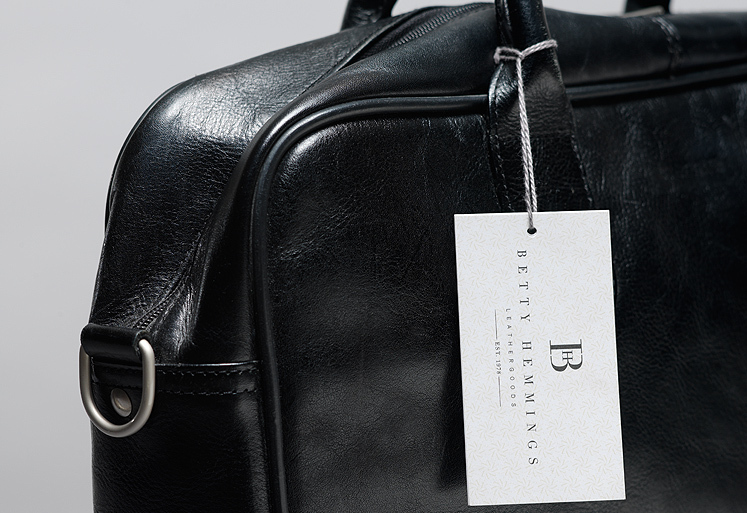 typotherapy played a key part in the overall brand identity development. 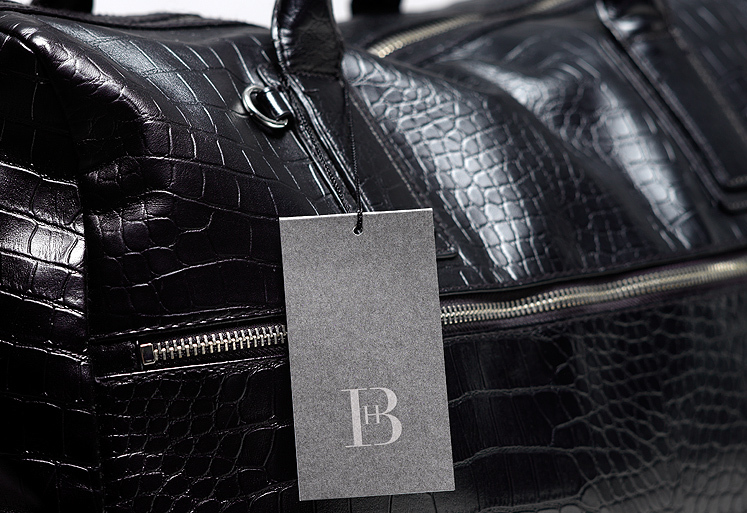 Our rigorous approach and commitment to detail was pursued in every area of the brand expression. 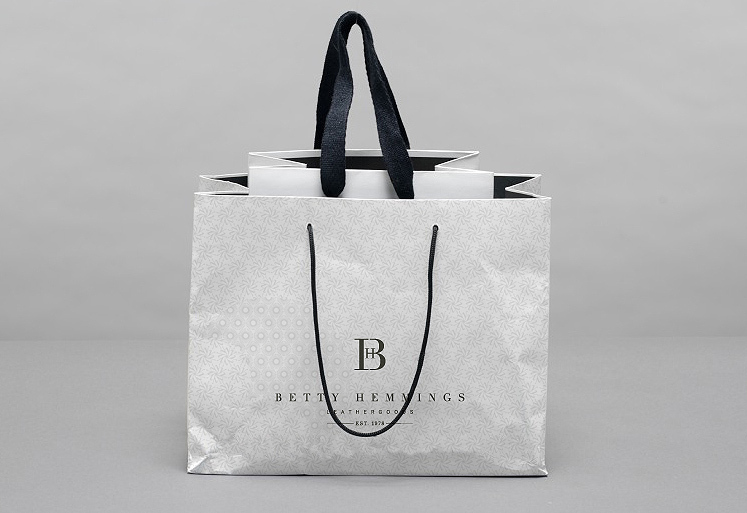 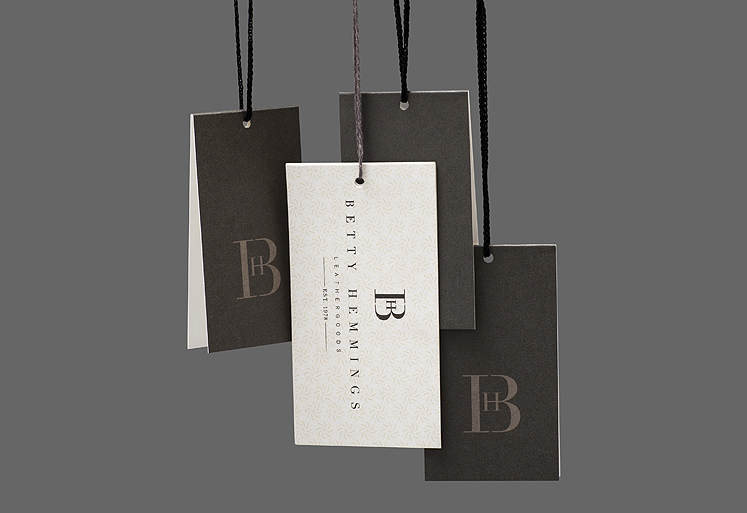 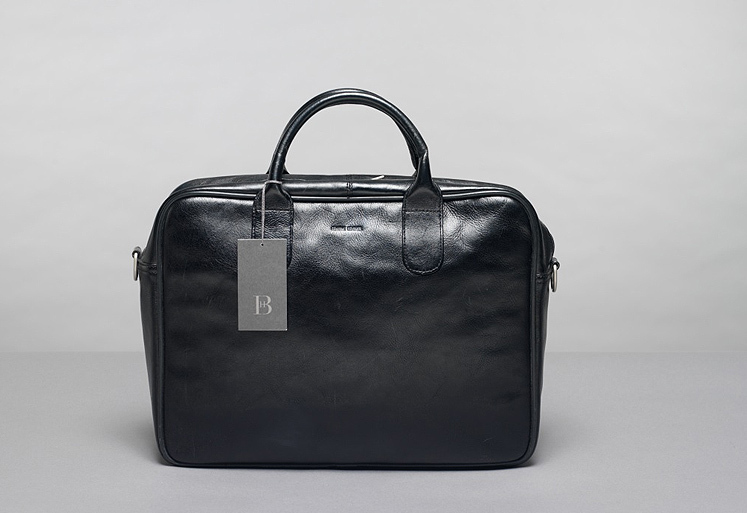 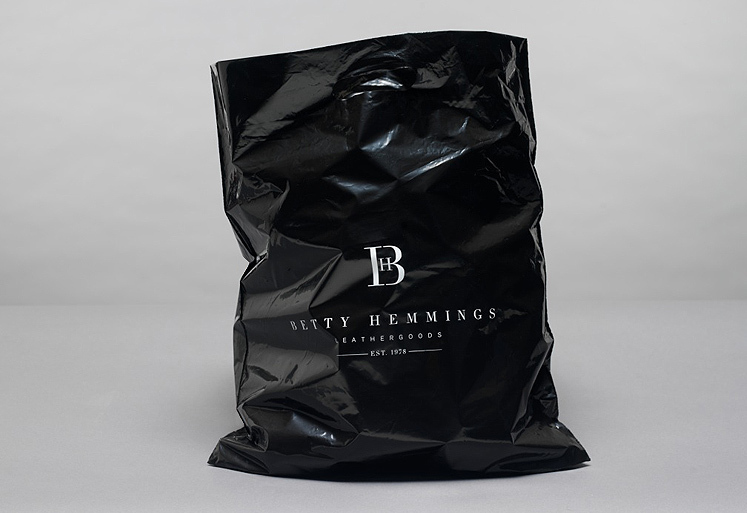 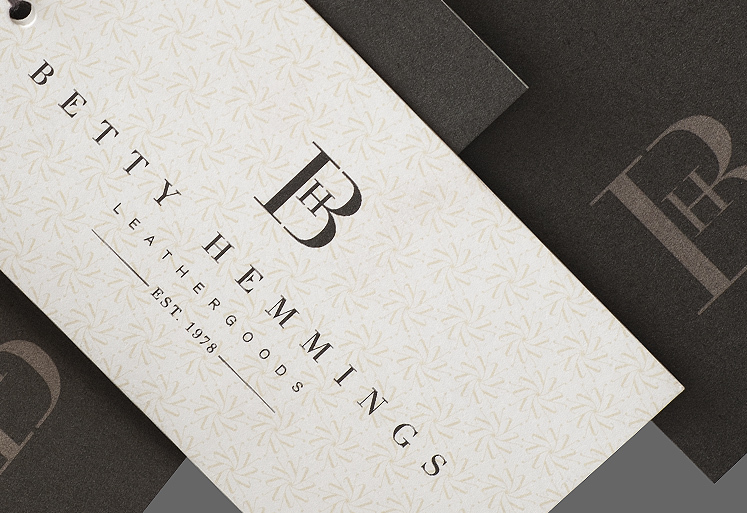 The success of the identity rests in a luxurious, traditional yet modern, logotype that was crafted to reflect the values and long tradition of Betty Hemmings Leathergoods. 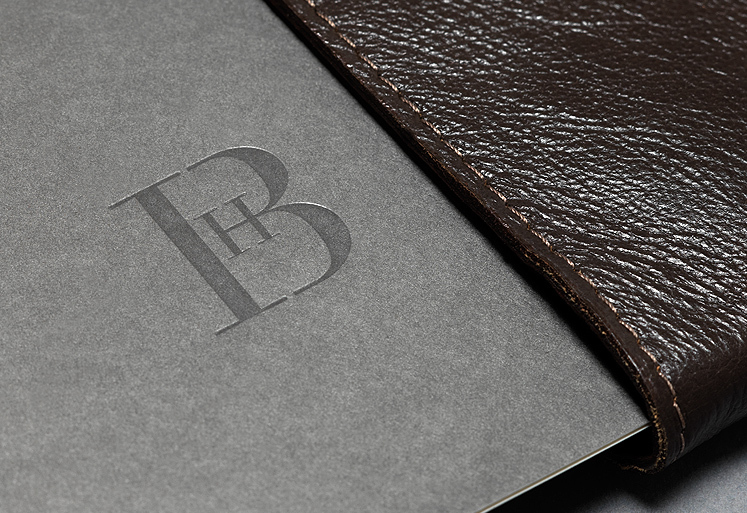 A redrawn version of Didot typeface was combined with a custom-made ligature between the B and H, creating a graceful and modular marquee. 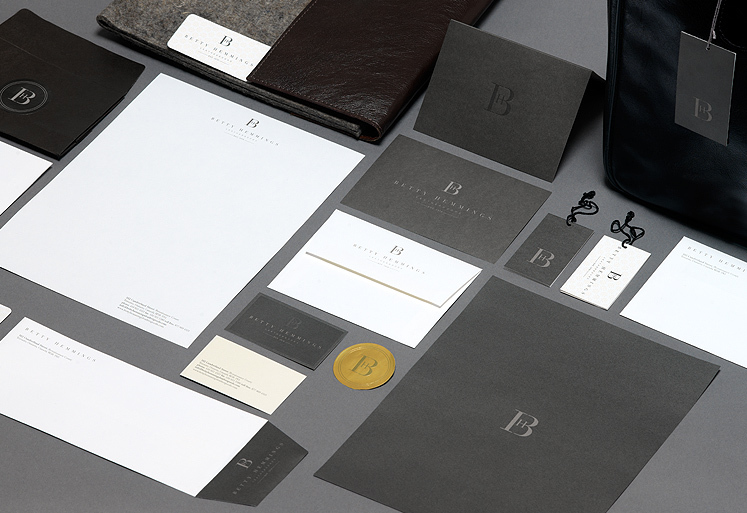 Once the key elements were developed, the identity was implemented across all applications of the brand, including signage, window graphics, business cards, stationary, complimentary cards, hand tags, wallet tags, and retail bags. 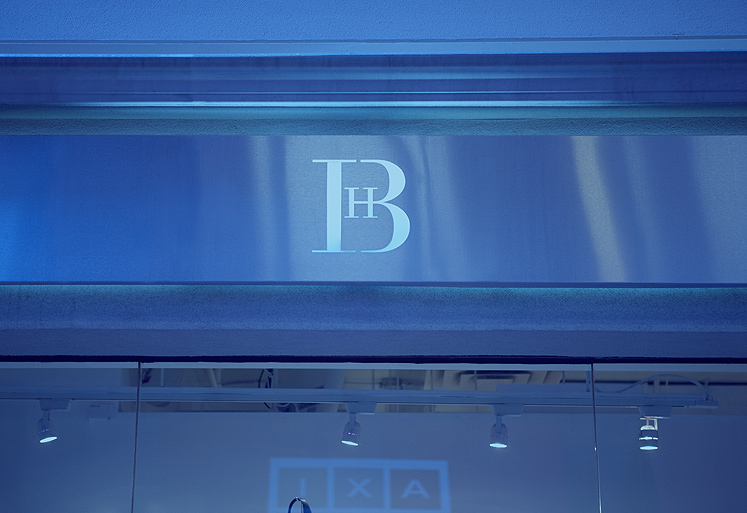 The result… A brand that offers the customer an additional level of quality, expert service and an exciting, indulgent retail experience.